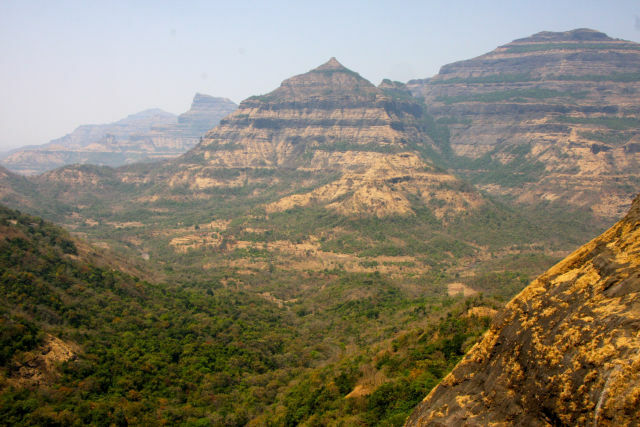 Deccan Traps lavas east of Mumbai show clear evidence of multiple layers deposited by repeated eruptions. The sad truth is, turtles are often neglected and overlooked in the fossil record. If paleontologists want to study trends of speciation and diversification during the Mesozoic, they usually look to the records of dinosaurs and mammals to describe evolutionary trends. In a paper out today in Nature Communications by David Nicholson and colleagues rectify this issue and the utility of the turtle fossil record is brought to the forefront. Turtles, tortoises, and terrapins, also known as chelonians, have an extensive fossil record extending into the modern day. Turtles as we know them emerged around the same time as dinosaurs—the Late Triassic—and have persisted for 220 million years through climatic fluctuations and mass extinction events. They have a worldwide distribution and are able to live in all types of habitats from the ocean to the jungle to the desert.